I just finished reading one of the articles on afterlife communications - their assumption of angels is very wrong. After my mother died she was stuck in limbo for about 10 days and then reappeared with the most beautiful pair of white wings. 2 days prior to 9/11 Mom came to me and told me she would be gone for awhile - God had given her a job to do - one that would take a long time to finish - and that she would return when done. There ARE angels on earth - believe me. I believe their are Angels on Earth and That We Have A Purpose and Duty to help the community and people in this War Of Evil. I also believe their are Angels On Earth Who Are Fallen and Need help/guidance to the light and those who are fallen sometimes don't even know it. I believe in Angels and that I have a purpose but it takes you on a journey in life. I talked to a shaman/psychic once and she told me I have strong powers and am an indigo Child and connected to a high power. Know I haven't yet finished my journey but I'm still learning. Praying, believing in God and the will to change the world in A positive way. Everyone has a journey and story and are connected to past lives. find your past lives out and don't stop your journey. Us Angels Are in World where we are fighting with the Devil and he doesn't want us to succeed in our journey. I've had fights with the devil and I know he wants my soul but u can't let him have. Have a blessed journey to all. I met an angel in a bar. He said what's your name? Is it possible for angels to be on Earth but are alive and in your life, entering your life when they're meant to and somehow you just know they are meant to be in your life for the purpose of guiding you? My battery about to die so I can't explain in detail what I mean. Any advice welcome. I believe I was approached by an angle on the Bainbridge ferry in Seattle. She approached me twice on the upper deck, both times staring strait at me like someone who knew me and cared for me, she was smiling, never took her eyes off of me. I smiled back, then turned to watch her walk away, turned agin and she was gone, walked all decks and cabins twice and there was no sight of her. She was wearing purples and magentas, her clothes were draped and long and flowing. she wasn't dressed like others, it was drizzling and chilly and windy, and she had no jacket. I was returning from a day of moving my 85 yr old brother in law who lost his wife (my sister) last year to illness. I saw it as a sign of appreciation for supporting family. I took it as a sign that I am not alone and I am cared for. I took it as a sign that I need only look around and guidance would be there. I am struggling with unemployment and it was very assuring. My boyfriend says he's an angel. Said he died and was reborn again just to love me. I thought he was joking but I soon found out he was serious about it. I want to believe him but I don't know if its true. He says that his Angel name is Michael D'Angelo (Michael the Angel) and that his earth name is Dominic named after one of the Saints. Is it true? Should I believe him ? My mom passed away over a year ago. I still keep wishing I could have an angelic experience with her Spirit. She had a brain tumor that caused catastrophic seizures and she was but a shell in the end. It was horrific. I wish so much that I could have talked with her in the end. I wish her Spirit could visit me, I would love to see her glowing in God's Light. I know she is an Angel. I sometimes have the craziest thoughts of contacting a medium so I could try to connect with her. I'm a normal person, but these thoughts haunt me still. Ok so I agree 100 percent because when I was little, me and my sister had shared the same room and one night she woke up to a weird dream and at the foot of my bed sat a man with blondish hair. She was also young so she cried and by the time my mom got in the room he was gone. My sister's dad had died and she had never seen even one picture of him because my mom felt it was best. A couple years later she seen a man again standing at the end of her bed, staring at her, this time she was so scared she couldn't even breathe. So my mom went in the room because she was crying and she told my mom. Then my mom showed her a photo of my sister's father (not telling her who he was) and she said that was him. Then my mom got sad and told her all about him and that he was her dad and my sister was so scared to sleep alone for about 1 year. These things happen to me and my family should I be worried? I can tell you what . Hi Diane, Yes I agree that angels ARE here on Earth. Your input has prompted me to document a couple of my own angelic experiences. I will leave a note here when I have posted them on the site. So I hope you have chosen to be notified of these comments to your page. It will be nice to hear from others with ?Strange But True? stories of Angels. So if you read this and get inspired to share your moments with angels, please use the link below. When I was born 3 months early, on March 8th, I was in the hospital for weeks. One day my mom had a terrible feeling and new something wasn't right. She called for help and a nurse with long blond hair came and did something that neither I nor my mom know. Next day I was healthy again and my mom asked for the nurse. But the managers of the hospital departments had no clue who my mom was talking about. So here I am wondering if was saved by an angel or something? Or was it just luck?? Our family had a year of intense testing and strengthening between May 2007 and April 2008. I took this photo at the motel we stayed at in Fort Lauderdale, Florida. I was sitting by the pool in front of our room meditating, and suddenly felt compelled to look up. This OM symbol was painted on the facade in the center of the courtyard. When I downloaded the picture from my camera, I saw the light figure. It looks like an angel to me. The light you are seeing could be from the pool water reflecting onto the wall. Not that I am doubting you, it's just that you have to factor out the obvious, before you can begin to factor in the paranormal/phenomena. I too believe in angels, and protective spirits. But I also believe in doing the homework to make sure you have the proper answer. Should you be sensing some protective being surrounding your family, then dont allow any negative comments to disellude your belief. You believing there is a family angel only makes your heart grow more tolerable and loving, and your spirit gravitate more towards the positive in your life. This will in turn will become an example to other family members, who will want to work towards the strengthing of the family circle. Good luck and many blessing to you and your family. I started discovering that I had the power to communicate with Angels when I was 15. One night when I was upset and I felt so alone I decided to try and communicate with my angel as I felt lonely and I had nobody to talk to. So I just sat on my bed and closed my eyes and I started to feel the presence of a man. I knew it was my guarding angel because I had a really big feeling running threw my body that it was. I could feel my arms tingling and the hair started to stand on end! I then remembered that I was to relax and take deep breathes so I did and when doing this, out of nowhere I felt this really big feeling of love in my heart. It really cheered me up and I was so happy but totally freaked out!! I then remember closing my eyes once more and I could see a figure in my head of a tall boy, at least in his late teens, with blonde hair and wearing a long white gown. I knew that this was him and it really surprised me to know that there was somebody looking out for me when I was upset and alone. I am now 17 years old and my powers are still growing and I am starting to understand to keys to being clairvoyant. Thats my angel what are you on about?  I want to get a reading from you but how should I contact you?? Thanking you..
HI Aimee would you please guide me? Angel Auras and Retro Cognition. Things that have happened to me lately, that might freak a normal 13 year old out. Okay, so I was at my friend’s house, Okay, so I was at my friend’s house, the one from my last story. They have a smoke house in their yard (a smoke house is a building in which meat is cooked and smoked, ew). I went in and the first thing I saw was a noose. I was a little freaked out. I looked at the stone wall, which was crumbling a lot, and out of the corner of my eye, I saw a white flash, which by aura means, means that angels are near, but I think it might have been the angel of the person that might have been hung by the noose. I see these flashes a lot, sometimes at school, sometimes in other peoples yards, sometimes in my bedroom, but the one I saw in the smoke house gave off more power and energy than normal. Another happening was when I was bored in English class. I looked at my hand, and saw a clear, white outline around it. Then, around my books, I saw a blue outline. Then I looked up at the whiteboard, and saw waves coming off of it. I asked if I could go to the bathroom, and when I got up, I grabbed the doorknob, and when I grabbed it, I heard a different teacher speaking, and different kids speaking, I turned and saw a woman teacher and a class I think might have been from a long time ago. I watched the class, but seemed as if I wasn't there. I walked to the front of the room, and no one saw me. I think I might have experienced retro cognition. I was in the bathroom at my school, and I was washing my hands, and my phone fell out of my pocket. It said I had a voice-mail, so I opened my phone, called voice-mail, and I heard my phone say that I had no voice-mail. At my friend’s house, me and my friend go to the grave in their yard, and pay our offerings to the grave. We weed the grave, try not to step on it, and decorate it with flowers for the holidays. We hope that the spirit doesn't mind. We said that if it didn't like it to tell us verbally, but it did, tell us physically, then I felt as if something had walked through me, and I told my friend, and she smiled. On June 27th last year the man I loved died of cancer. He refused to tell me for he wanted to die with me hating him. He had been my pen pal for one full year just about. We gave each other photos, he had me in his phone as sweetheart and his background was my photo. I loved Jay from the moment we first wrote to each other. He all ways knew stuff about me that no one else knew and half of the stuff I never told him. At night even though he was miles away I felt like he was with me, watching over me. Through everything we went through he protected me till the day he died. When he died he died holding a Jade (my power stone) bracelet I gave him over his heart. Heartbroken I remember his final words to me. "I always have been watching over you." And when I asked how...he simply said "I have my ways." Since the day he died I have seen guys who look like him all over the place but for split seconds. Like I was on the subway once and a guy who looked just like him watched me get on, but when I glanced to the spot he was gone. Every day I wear a silver rose ring in memory of my Jay. Since he died I could no longer write, it felt like a part of me had died to. Then one late fall night I was outside at a friend's house when a small tiny almost dead kitten came and laid on my feet. I took him home nursed him to health and no matter how hard I looked for a home for him, he always ends up back with me. I still think to this day that Jay sent him to me, my kitten now a cat waits for me outside if I am out late, he loves my bed and follows me mostly. When I was a little girl around four my brother, around eight, and I were the youngest two in the family. I had two more brothers; nine and ten. We were at my uncle’s place in the country my mama and two older brothers went to the field to cut okra as my younger brother and I stayed behind to play. He was like my baby sitter since I was too young to work he would watch me and play with me while the others worked. I remember very well the field that my mama and brothers where working in. You would have to go through a sandspur patch that was full on sharp sandspurs to get to the field and as a child I never wore shoes. I still don't if I don't have too. Anyway we were playing with a ball, it was summer and very hot, so as we got thirsty we went to a water faucet that was under a big pecan tree to get a drink. My brother went first and as he had his head cocked to the side to get a drink I stood behind him. I heard something crashing through the branches above so I moved back and I told my brother to move. But he didn't and the tree limb got him right across the head. He just laid there and I am in shock (remember I was only four years old). I knew I had to get help so I started to run towards the field to get my mama, I knew I would have to cross the sand spur patch to do so. Then something happened! - I was picked up (I think by angels) and carried across the sand spur patch to my mama. I got not one sand spur in my feet, yet in the past if I tried to cross it I would never have made it across without getting a ton of them in my little feet. I still believe to this day that when I got help for my brother who was so badly hurt, I had angels with me. When I meet someone for the first time, it's as though I know them! I feel there presence it overwhelms me! Judgement is human nature but even the people who seem nice can b detected and unearthed as fakes to me! I don't see an aura I see the personality, the good and the bad in a person! Sometimes I have dreams of people I have never met and soon surely enough I come across them and think to myself do I know you!to follow your instincts is a gift, mine has never failed! I have a urge for another baby but experience and those from other people that it won't happen unless it's meant to b! Sometimes we have children by mistake, but mistakes turn to reality and then to b a lessoned learned! Relax, live every day n let things happen naturally your body will decide! The angels will guide you, don't be angry your time will come or maybe it never was meant to b! When I was little I used to speak to the Angels till my parents convinced me that they were just imaginary friends. Only when I was a teenager and my guardian angel had to intervene in a life or death situation did I once again believe in them and started communicating with them again. Through this, I learnt to read the Angel and Tarot cards accurately as they tell me more than what is shown in the cards, and the Angels taught me to see beyond our spectrum and connect with passed loved ones. Now I use these gifts to help others, by not only giving them messages from loved ones but communicating with the Angels while doing a card reading for them. I learnt that we were given these gifts to help others in their time of need, whether it just a word from their family or a glimpse of the future. It will be what they need at the time they need it. I created a website https://angelguidence101.wixsite.com/angel where I explain all I offer.  I also created a forum to help people try things at home and where they can ask any questions about readings, angels or anything they wonder about and I freely answer them.